Get Your Free Instant Senior Life Insurance Quote Today! Consider the following major reasons why everyone should have insurance for the unfortunate day when this life is over. Bills –There are a lot of people that deal with bills on a month-to-month basis, and when they pass, those debts get moved down towards loved ones, and they are responsible to take care of them. This is difficult for many, especially because there are a lot of people in these modern times that owe more money than ever before. With the hard financial times, it’s no wonder why so many are in debt. Marriage – when you’re married, you need to think about your spouse and how their life will change for the negative when you’re gone. If you want to make sure that you leave behind something for them, you’ll need to look into Life Insurance for Seniors. Peace of Mind – There’s nothing quite like having peace of mind when you’re dealing with life in general. In order to get this illusive thing, you need to get yourself a policy that helps you out. When the chips are down, the price of death care can really send you for a spiral, but with a good plan in motion, you’ll only feel a slight bump in the road. Life can present so many challenges, but having a final plan in place when a loved one passes is a gift to you and your loved ones financially, but most importantly emotionally. Having to deal with the stress that comes with losing someone special, words will never provide the right answers, but a simple financial arrangement will provide for the lasting wishes to be fulfilled. Mintco Financial put together some frequently asked questions about Senior Life Insurance. 1. What makes Senior Life Insurance so important? No one would want to leave their family in a financial mess would they? That’s why Mintco Financial shops for you among many carriers and will provide you an insurance plan that has been designed to help you protect your family from the financial burden of your funeral and other unforeseen costs, if you were to unexpectedly pass away. 2. How much coverage can I get? You can select a death benefit option that suits your needs and budget, from a $5,000 to $50,000+ insurance benefit. 3. Senior Life Insurance Is Too Difficult or Too Expensive to Get? This is one concern most frequently mentioned by seniors about life insurance. First, your age and even your health should never be an obstacle to getting the coverage you need. There are many good policies you can get at any age or state of health. There are many companies willing to provide coverage up to 89 years old and different policy types that are both readily available and priced to fit nearly everyone’s pocketbook. This is one concern you can remove from your list now – you CAN get life insurance. 4. What is a Simplified Issue Life Insurance? Simplified issue life insurance is a policy that doesn’t require a medical exam. This type of coverage is usually marketed to senior citizens who have limited options for life insurance coverage. However, people of all ages can apply for life insurance without a medical exam. If you do have serious medical conditions or chronic diseases, you can still be denied coverage. However, you have to answer a few health questions to get this coverage and you should never lie because that’s considered insurance fraud and isn’t the right way to handle such an important matter for your family. If you need more than $500,000 in coverage, simplified issue life insurance might not be right for you. There are many other life insurance policies that have much more affordable prices for coverage over this amount, just give us a call at 813-964-7100 and we will help you. 5. Can I get Life Insurance If I have bad health? Every person in this world gets older and we have our own expiration dates. The only thing that we need to be sure of is when we do pass away that we do not leave our families burdened financially. So, this is where Life Insurance comes in. Life insurance can be very important for every senior who is nearing life’s end. If you are a senior looking to have a lasting memory to make sure your loved ones will never have to struggle with your final days, then you should apply now for a life insurance policy. There is one type of life insurance policy that claims no health examinations, and you will qualify regardless of your health complications. So far, for those seniors who are dealing with health issues, this is an important option to consider if unable to get back to full strength medically any time soon. 6. What if I use tobacco? If you use tobacco, we will still be able to find you a very affordable final expense policy. Your monthly premiums will only be a few dollars more than non-tobacco users. 7. Does Life Insurance for Seniors have a cash value? Yes, final expense insurance is a whole life policy. It accumulates a cash value slowly over time, much like a savings account. Although, it does have a cash value, these policies were designed with an emphasis on death benefits to pay for funerals, not for cash value or investment purposes. 8. How do I determine the amount of coverage I need? At the present time, the average cost of a funeral is $7,000, and is predicted to increase to $12,000 by 2025. – Financial gifts for children or grandchildren. If you need help to determine how much coverage is needed or what the right plan is and price based on your circumstances, our independent agents are always available and would look forward to helping you make such a difficult discussion and decision an easy one. Let us work for you. Call 813-964-7100 or request a quote through our simple Senior Life Insurance Quote Tool. The best life insurance companies for seniors over 70 provide different policy options such as term life insurance, no-lapse universal life, simplified issue and guaranteed issue. They are also highly rated, have favorable underwriting guidelines and provide the lowest rates. 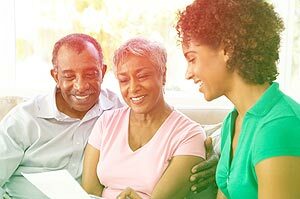 Since the life insurance needs of a senior over the age of 60 may be different than someone just starting out raising a family, it’s important to choose the right life insurance company and policy to make sure your financial obligations are take care of. There are a many life insurance options for seniors over the age of 70. It’s important to choose the right policy to properly protect your family or take care of final expenses. By comparing many different companies you can be confident that you found the best policy to protect your loved ones. Mintco Financial offers you a tool that in one click you can compare different quotes from different companies. Once you decided the best quote for you, you can speak with one of our representatives to better understand the whole process. It is easy and fast! Fill our simple quote form or give us a call. Whatever works best for you. We will make sure you will get a response in 24 hours. TOGETHER WE MAKE POSSIBLE HAPPEN!